This Hotel-Restaurant is located in the middle of the vineyards. 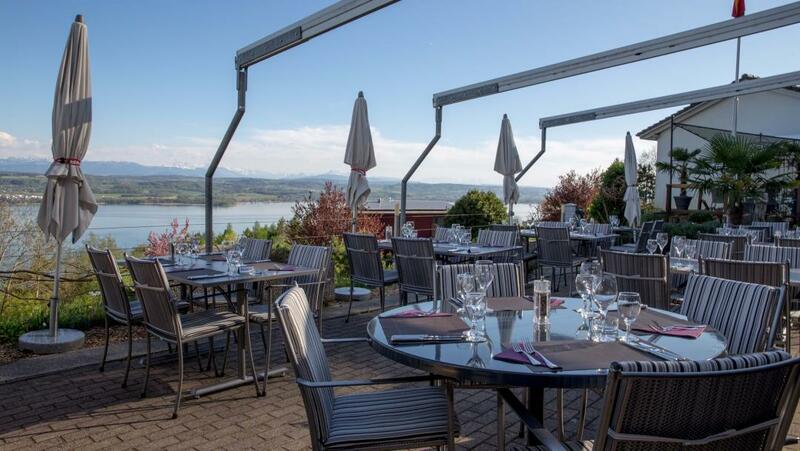 It offers the possibility to taste the delicious specialties of the Vully and has a wonderful view on Lake Murten and the Alps. Come and relax in this peaceful atmosphere. 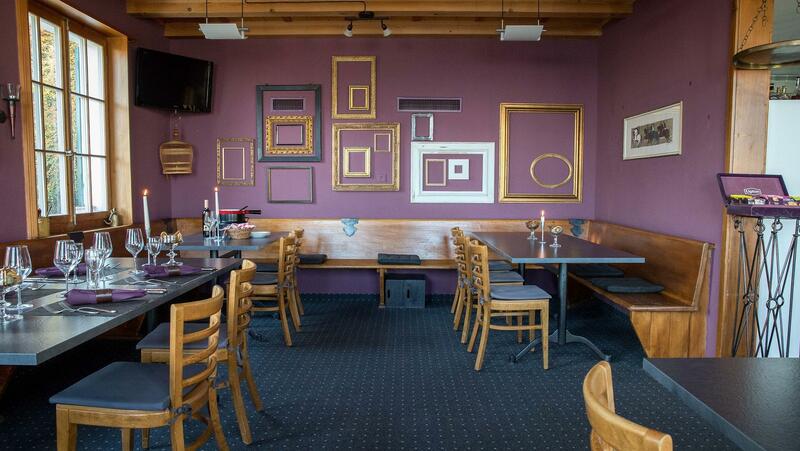 The restaurant serves some classics, such as « la viande sur ardoise » or the famous perch filets « Mont Vully ». It also offers a 5-course gourmet menu, that can be combined with a night at the hotel. During the summer hot days, enjoy relaxing on the big terrace and its panoramic view. In autumn and winter, enjoy a delicious meal in the charming restaurant or in the Fondue Pavillon. Every room of the hotel has a balcony with a beautiful view on the lake, the Alps and Murten. The restaurant is closed on Monday and Tuesday but the hotel remains open on these day (also for the breakfast).